#275 // It's not every day "do it for the gram"
Last weekend, I went to Leeds with Ben, and this is the only photo of the trip. It's not even mine, I stole it from Ben's camera. 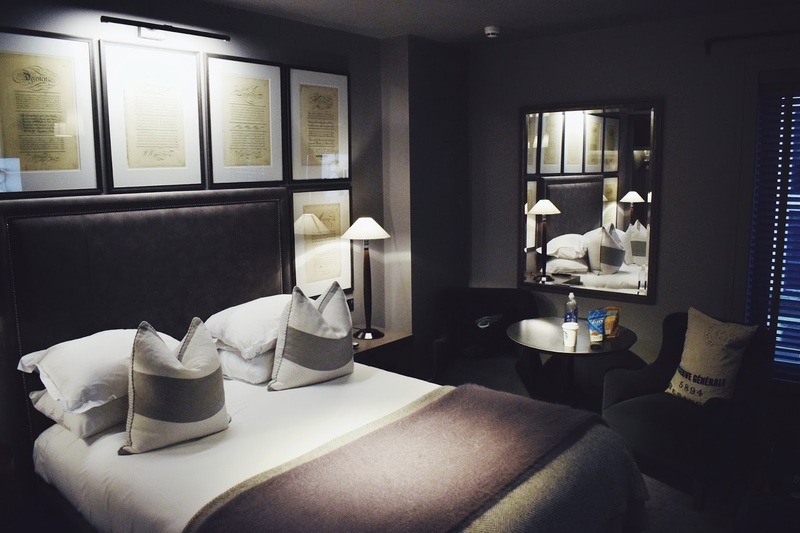 We were there to see Mo the Comedian, and after missing out on London show tickets, I decided it would be a birthday treat, making a weekend of it by splashing out on a plush hotel. In the age that we live in, it's so tempting to update everyone with what we're doing at any given minute of the day, but I made a point of not trying to get an awesome photo for Instagram, I just enjoyed it. And actually, what I did instead was note down in my journal how I felt while I was there. The little things you might miss during the normal day to day routine. It's a special thing to be able to recall exactly how you felt at a certain place and time. And photos - especially the amount we take and discard in the depths of our sd cards - don't always do those memories justice. I remember wiggling my toes in the deep pile, plush carpet: Travelodge it certainly wasn't! Forty eight hours in Leeds, no photos, but all the feels. There are a few recommendations and links from the trip below. I booked twelve weeks in advance, and got our tickets for the bargain price of £16 each way, and our journey was 2 hours 20 minutes from London. We stayed at the Dakota Deluxe Leeds, a few minutes from the station and all major entertainment, food and shopping outlets. We ate at the Trinity Kitchen, which is an indoor street food market with rotating stalls every six weeks. We had one breakfast at The Alchemist (the one in Trinity centre, as there are two), mainly for the views. The hot chocolate was magnifique, and if it hadn't have been that early, I'd most certainly have indulged in their wide array of fancy cocktails. My favourite breakfast, cake and coffee spot that I've been to a few times when I've been to Leeds is most definitely Laynes Espresso. We had sweetcorn fritters with halloumi and had I not eaten two dinners the night before at the street food place (lol, when indecision and greed meet....), I'd have totally picked up one of the cakes on offer too. The Dakota was a lovely hotel that completely exceeded our expectations and I would highly, highly recommend it. We quite like a staycation, and I already know that we'll be back.